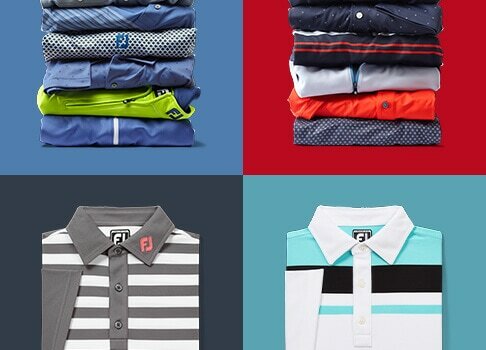 FJ Summer/Fall Apparel Collections Now Available! 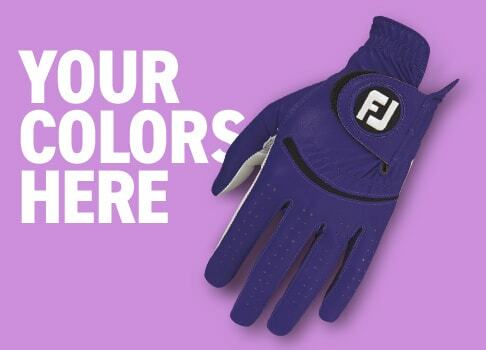 FJ is proud to introduce the all new Summer/Fall 2015 Fashion Collections. 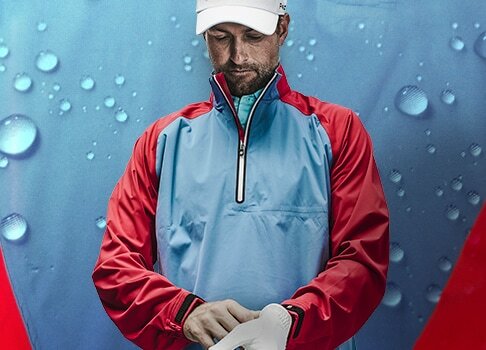 Designed to perform in a myriad of on course conditions and to appeal to the modern golfer, FJ Performance Apparel feature contemporary colors and patterns in a variety of styles and performance fabrics. 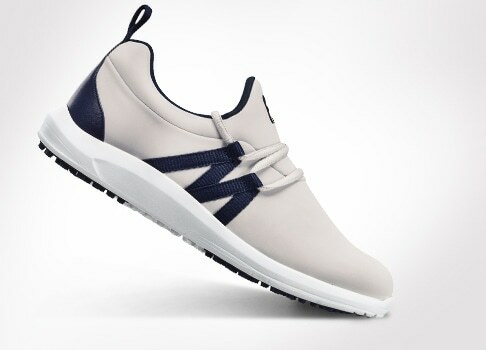 The Austin Collection features a brilliant blue, white, and black. 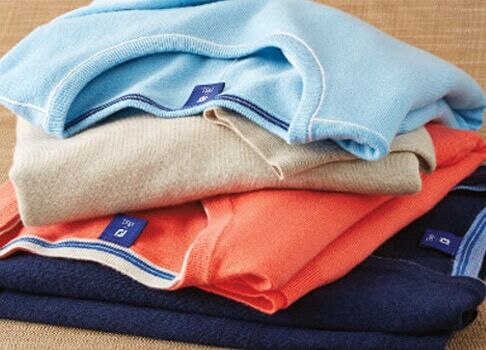 The Jupiter Collection mixes navy with poppy red, cadet blue and white. Lastly, the Berkeley Collection combines lime, violet, white and heather gray. 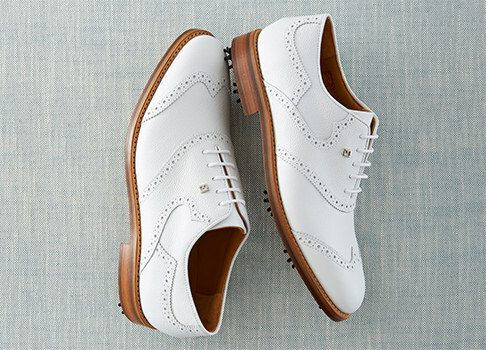 As the old adage goes, "When look good, you feel good. When you feel good, you play good!" 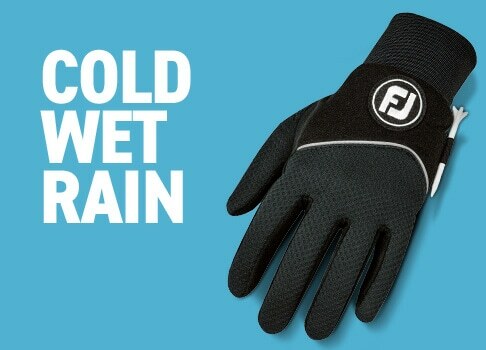 Look your best in FJ Performance Apparel and play your best! This week the FJ Apparel team was on location in Wisconsin with Steve Stricker shooting new layering images for an upcoming campaign. Here are some behind the scenes shots of the action. As most of you already know the FJ team was recently down in Atlanta shooting our new "FJ. The Mark of a Player" commercial spots. With most of our premier players in attendance the new spots will definitely capture the essence of FJ. We gathered plenty of fun content and exciting during our down times of the shoot. While we continue to compile our video content, here is a slideshow to hold you guys over in the mean time. This week's FJ Tip from the Pro comes from 12 time PGA Tour winner and Wisconsin native, Steve Stricker. The mental game is often overlooked by golfers of all skill levels, it is easy to think about your mental game but difficult to change. Steve Stricker has a simple tip that all players can use to improve their mental approach. Happy Swinging! The affable Wisconsin native, Steve Stricker won the season opening Tournament of Champions at Kapalua with a final round of a four under par 69 to finish the tournament at 23 under par, four strokes clear of fellow FJ Staffers Webb Simpson and Jonathan Byrd. Stricker was in style all week wearing the new FJ Performance Apparel and split saddle DryJoys Tour's. He was, also, in total control of his golf game, attacking the golf course in Saturday's second round. Stricker made eight birdies and an eagle to finish off the round with a ten under par 63. The blistering pace gave him a five shot lead over Webb Simpson and the field heading into the third round. During the third round, Stricker struggled to make birdies early but did not give up any ground as he birdied the final four holes to retain the five stroke lead he had at the beginning of the day. Now heading into the final round with a comfortable lead, Stricker kept his head down and continued his steady play to close out the field for the victory. Stricker lead the field in overall putting, scrambling, bogey avoidance (making only 4 bogeys all week on the rugged Kapalua golf course), and one putt percentage. This is Stricker's 8th PGA Tour win in the past 3 years, which is the most amongst any player on the PGA Tour. Steve Stricker successfully defended his John Deere Classic title for the second straight year with a 25-foot birdie putt on the 72nd hole to win by one shot over PGA Tour rookie Kyle Stanley (FJ ICON #52315 & StaSof). 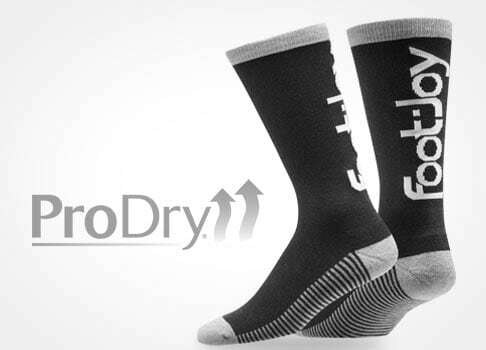 Stricker (DryJoys Tour #53635 ,Pure Touch Limited, & ProDry Lisle Shirt #32963), already a winner this year at the Memorial, began the day with a 2-stroke lead. By the time Stricker made the turn he had a five shot advantage. Stanley, playing like a seasoned veteran, mounted a raucous back nine charge that included birdies on five of his first six holes to take the lead. Not to be outdone, Stricker birdied 17 to pull within one of the PGA Tour rookie. Stanley then bogeyed the 18th leaving Stricker on the last hole with a chance to win for the third consecutive year. After missing the fairway Stricker hit a solid recovery shot from an awkward stance 25 feet from the pin. Stricker struck his putt and erupted with emotion as the ball gently fell in the left side of the cup securing his victory. This is Stricker's 11th career victory making him the only player to have multiple victories in each of the past three seasons on the PGA Tour. Stanley's runner up finished earn him a spot in next week's Open Championship. Steve Stricker (ProDry Lisle Stripe Golf Shirt, PureTouch Limited, DryJoys Tour) finished off a brilliant week of golf with a final round 68 to claim the Memorial Tournament held at Muirfield Village. He began his final round with a three shot lead thanks to three rounds in the 60's on the previous days. Stricker's torrid pace continued Sunday, shooting an outward nine, 6-under par 30. A weather delay would force Stricker to cease play after the 12th. Upon resuming play, Stricker would make a clutch sand saves on 16 and 17 to take a two shot lead into the 72nd hole. All he would need is a bogey 5 on the last to win the tournament and Stricker did just that by tapping in his bogey putt for the victory. This is Stricker's tenth win on the PGA Tour and the win makes Stricker the highest ranked American golfer on the Official World Golf Rankings. Here is Stricker's Hole in One on Friday. You would be hard-pressed to find a player who has enjoyed more success in the FedEx Cup playoff system than FJ ambassador, Steve Stricker. Since the playoffs began back in 2007, Stricker has accumulated an impressive seven top-10 finishes in 12 events, including victories in the first-ever playoff tournament (2007 The Barclays) and last year's Deutsche Bank Championship. As they say, some players are built for the playoffs! Check out this blog item on Boston.com from Stricker himself for more insight into the playoff system, his preparation and his chances entering the playoffs as the #2 seed. Who is your pick to win the 2010 FedEx Cup? FootJoy ambassador Steve Stricker closed with a final round 1-under 70 to narrowly defend his title at the John Deere Classic. 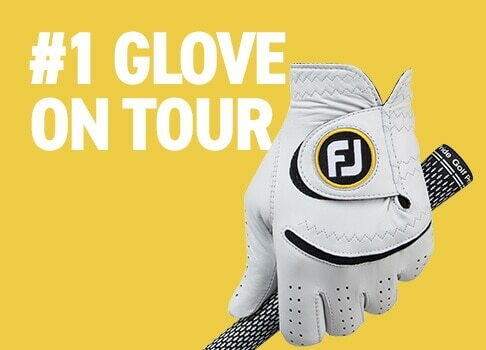 Stricker, who wore custom DryJoys through the MyJoys program and a Pure Touch Limited glove, saw his six shot overnight lead wilt to just two but was able to hold on and defeat fellow FJ player Paul Goydos (FJ ICON style #52062, SciFlex). 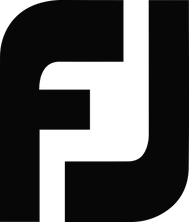 Inclusive of Stricker and Goydos, 13 of the top 14 players on the leaderboard trusted FJ. Playing without the same razor sharp precision that had allowed him to record the lowest 54--hole total in PGA Tour history, Stricker played safe most of the day. However, he came through with a clutch birdie after driving into the trees on No. 17 and finished with a 26-under 258 total - a new record for the tournament. Goydos, who dazzled the golf world with his 59 in the opening round, shot a solid 66 but still fell short of dethroning Stricker, who won for the ninth time in his career. Both players boarded a plane Sunday night for Scotland and will compete in the Open Championship at St. Andrews this week. 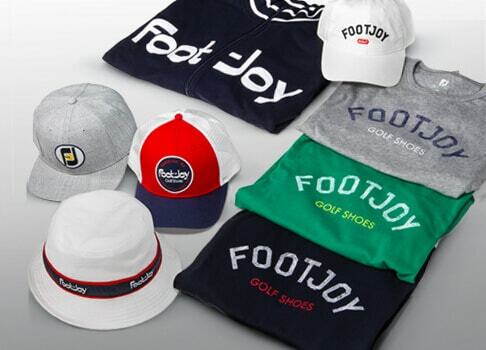 For the fifth consecutive week, a FootJoy player claimed victory on the PGA TOUR as Steve Stricker (SYNR-G style #53883, PureTouch Limited glove) closed with a 1-under 70 Sunday for a two-shot victory over fellow FJ player Luke Donald (FJ ICON MyJoys) at the Northern Trust Open. Stricker finished with a 16-under 268 total and won for the eighth time in his career and the fourth time in his last 15 starts. He also moved up to No. 2 in the world golf rankings for the second time in his career. Stricker didn’t make it easy on himself, having to grind for pars as Donald kept pouring in birdies. But after Donald missed two short birdie attempts, Stricker fired off two straight birdies to restore a comfortable margin. Stricker seemed to struggle all day, missing several greens to the left but he had five consecutive one-putt greens and continued to get himself out of minor jams. Half of Stricker’s eight career victories have come in the last eight months dating to his playoff win at Colonial. He turns 43 later this month, and shows no sign of letting up. "Team Wisconsin," Steve Stricker and Jerry Kelly, won the Shark Shootout this past weekend, posting a final round 13-under 59 for one shot victory after several teams made a late charge in the Scramble format. 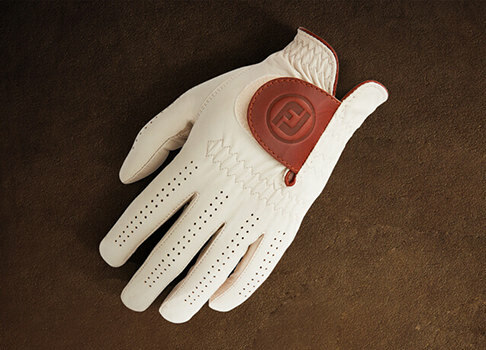 The duo, who both wear FootJoy gloves and SYNR-G shoes, began the day with a one shot lead and battled with another FootJoy team, Kenny Perry (SciFlex glove) and JB Holmes (SYNR-G shoes, RainGrip glove) until Perry and Holmes failed to convert birdie putts at the last that would have forced a playoff. Perry and Holmes came out firing and quickly took the lead on the final day. They eagled the par-5 first hole, and birdied 11 of the next 13 to get to 25 under but Stricker and Kelly rallied coming up the back. They birdied 14, 15 and 16 but didn't actually take the lead again until Stricker made an eagle on the par-5 17th -- hitting the second shot and the putt. The Kelly/Stricker combination was the only team in this week's field with both players posting victories on the PGA TOUR this season. Kelly won the Zurich Classic of New Orleans and Stricker posted three victories at the Crowne Plaza Invitational at Colonial, John Deere Classic and Deutsche Bank Championship. "It's another feather in our cap," said Stricker, the world's No. 3 player who won three times on the PGA TOUR this year. "This is a lot of fun. We came here to have fun and to play well at the same time, and we did that." "We were a very good team," Kelly said. "It didn't seem like we were consistently in there with two really good birdie chances, but one of us always seemed to step up." With just one event remaining in the FedEx Cup Playoffs, three FootJoy players, all of whom wear SYNR-G shoes, control their own destiny. With a win in two weeks at East Lake GC in Atlanta, Steve Stricker, Zach Johnson and Heath Slocum can win the coveted FedEx Cup and the $10 million top prize. Stricker and Slocum earned their spot in the top five via dramatic playoff victories. Slocum, who was the second last player to qualify for the playoffs, made a clutch par putt on the 72nd hole at The Barclays to capture the first playoff event and Stricker followed suit the next week, getting up and down for a clinching birdie at the 72nd hole to win by one at the Deutsche Bank Championship. For Zach, it's been consistency throughout the season that has put him in this position. Victories at the Sony Open and Valero Texas Open, as well as 12 other top 25 finishes, including his fifth place at the BMW Championship, assured this major champion a shot at the season's cumulative championship. Stricker, now the #2 ranked palyer in the world will be making his sixth appearance at the TOUR Championship, while it will be the second for Slocum and fourth for Johnson who, most recently, tied for second back in 2007. 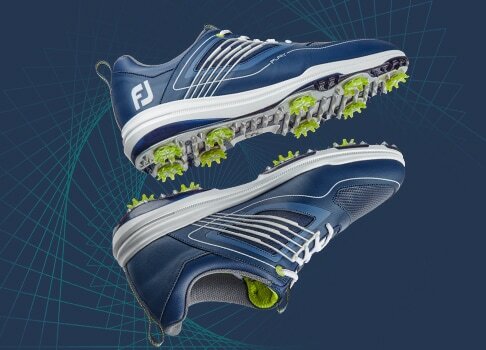 With more than half of the 30 players at East Lake wearing FootJoy shoes, we like the odds of an FJ player bringing home the hardware from the TOUR Championship. If it's Stricker, Slocum or Johnson, there will be an additional 10 million reasons to celebrate!